Volkswagen VW XL1 Concept at the Frankfurt Auto Show 2013, in Frankfurt, Germany, 19 September 2013. 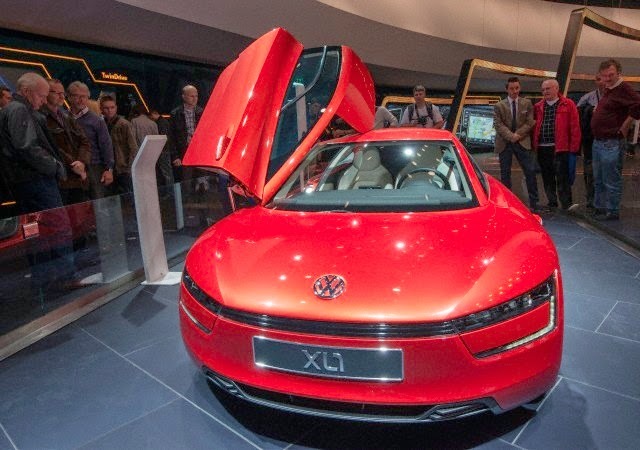 The XL1 is a plug-in diesel hybrid with fuel economy estimated at 110 km per liter. 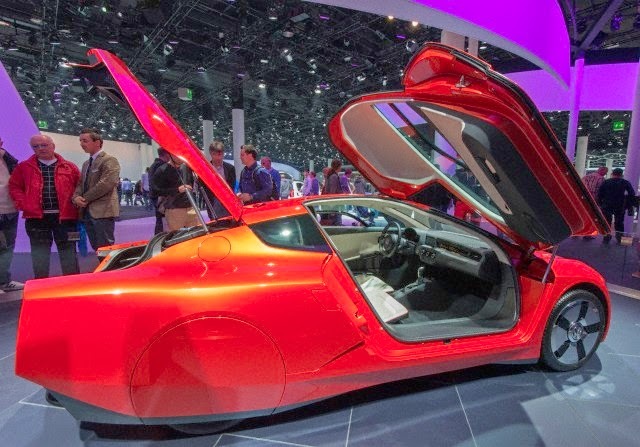 The Frankfurt Auto Show is the World's largest.